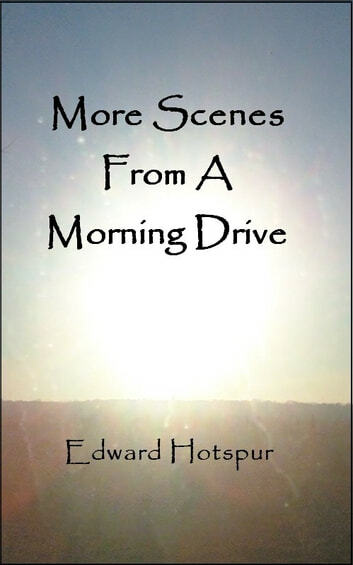 Edward Hotspur talks to himself every morning. But really, he's talking to you through his digital voice recorder about humor, sarcasm, philosophy, love and life. 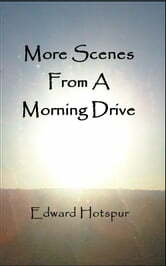 This collection of essays somehow combines topics as divergent as technology, trees, deadlines, fairy tales, evolution, fantasy football, windshield wipers, shopping centers, wine and sunsets so that they work together - often within the same essay. There will seem to be no rhyme or reason to his topics, but there is an underlying message/theme running through all of them: He is awesome. Or possibly insane, though the two are not mutually exclusive. He makes you laugh, he makes you wonder, but most of all, he makes you think. The Ten, Make That Nine, Habits of Very Organized People. Make That Ten. How to Get Even and Revenge with Pranks on Anyone! But Mama Always Put Vodka in Her Sangria!